We’ve all heard the saying, “The way to a man’s heart is through his stomach”. With Father’s Day less just a few days away, we thought it would be fun to ask dads throughout the company about their favorite summer meals. Sensing a theme of fresh, grilled, and seasonal, we picked two of our favorite recipes to cook up for Dad next weekend. Make them yourself or put in a catering order and we’ll take over it for you! Combine the basil, spinach and garlic in a blender. Drizzle in the olive oil slowly while the blender is running to emulsify. Add salt and pepper to taste, then strain the mixture through cheesecloth if desired, or leave as is. Reserve on the side. Bring the white balsamic vinegar to a boil and reduce by half to thicken. Remove from the heat and cool completely. Reserve on the side. 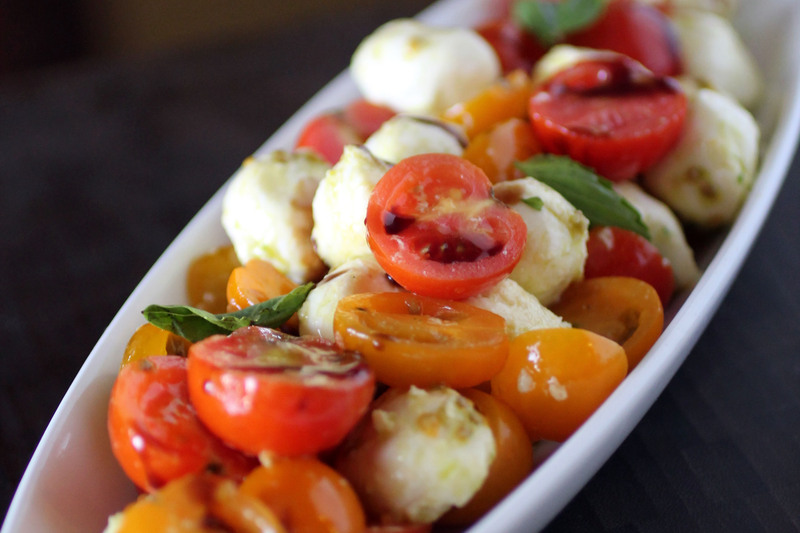 Just before serving, toss the mozzarella, cherry tomatoes, basil, oil and reduced white balsamic. Season with salt and pepper if needed, then drizzle with the dark balsamic glaze. Combine the blueberries, sugar and water in a pot over high heat. Stir to combine and bring to a boil. Reduce heat and simmer for about 5 minutes. Whisk together the cornstarch and warm water to form a slurry and add to the pot to thicken the blueberry mixture. Cook for about 1-2 more minutes. Remove from the heat and allow to cool. 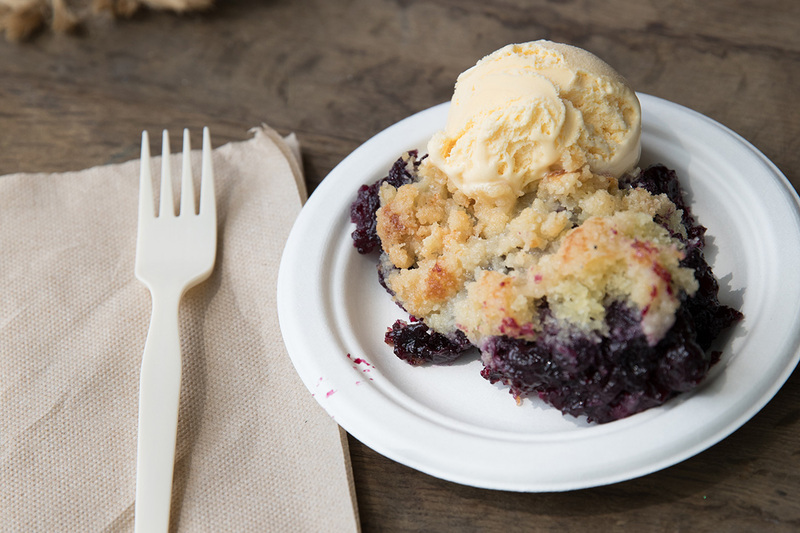 Put this blueberry mixture into your baking dish and spread evenly. In a mixer fitted with a paddle attachment, combine the flour, baking powder, salt and sugar. Mix until well combined. Add the melted butter, milk and eggs and mix until a dough is formed. Top the blueberry mixture evenly with this dough. In a mixer with the paddle attachment combine the butter, flour and sugar and mix until a coarse meal forms. Sprinkle this streusel evenly over the top of the dough. Bake at 350F for 30 minutes, or until the top is golden and the fruit is juicy. For 364 days out of the year, Dad does a perfect job taking care of the family. This Sunday, let him sit back, eat great food, and enjoy taking the day off. Get in touch with our catering team if you’re looking for help setting the menu!